The tiny island of Singapore off the coast of Malaysia is famously capitalist, crowded, cosmopolitan, and clean. It is one of the most densely populated places in the world, but enriched by the mix of cultures brought to by its multiethnic population. It is a success story of authoritarian capitalism, one of the world’s wealthiest nations based on GDP per capita. It is also probably the cleanest city in the world, thanks to laws that are strictly enforced. Singapore has four official languages – Malay, Mandarin, Tamil and English, reflecting the four cultures that have steered the growth and development of Singapore and its people: the Malays, the Chinese, the Indians and the British. There is also an informal dialect that many Singaporeans use, a hybrid of languages from the four main cultures, but mainly English. It is called Singlish. Construction, improvements on roads and buildings, and the rehabilitation and preservation of historic and natural sites are constantly going on in Singapore. It is one of Southeast Asia’s major tourist destinations and top financial centres. Singapore began its journey toward modernization in 1819, when Sir Stamford Raffles of the British East India Company negotiated with the Malay ruler Hussein Shah for the island to become one of Britain’s trading posts in Southeast Asia. As trade increased here, so did the number of immigrants from China, India, the Arab countries and Europe. Singapore became a land of opportunity, and the influx of people from all over the world created the mix of cultures that currently make up the country’s population. Served by an extensive Mass Rapid Transit system (MRT) that covers most of the country, Singapore is easy place to get around. Because of its small land area, most of its citizens live in high-density blocks of flats built by the Housing and Development Board (HDB). Only Singapore citizens who have families are allowed to own or purchase these flats. 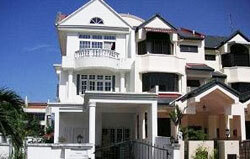 However, Singapore’s wealthiest and rich expats live in houses or apartments in posh residential complexes. To attract people to visit, work and live in Singapore, the government created the Urban Redevelopment Authority to ensure the best use of the country’s limited land resources. It is tasked with urban planning and the conservation and proper use of heritage areas. This means that in Singapore, modern residential complexes, shopping malls and office towers can be seen side by side with old shophouses and temples. Singapore is divided into five regions, most developed of which is the Central Region.